April became an eventful month for both me and my son Walter. We had talked a lot about going to a Maker Faire, but all of a sudden there was one in our hometown! We signed up right away and started planning. 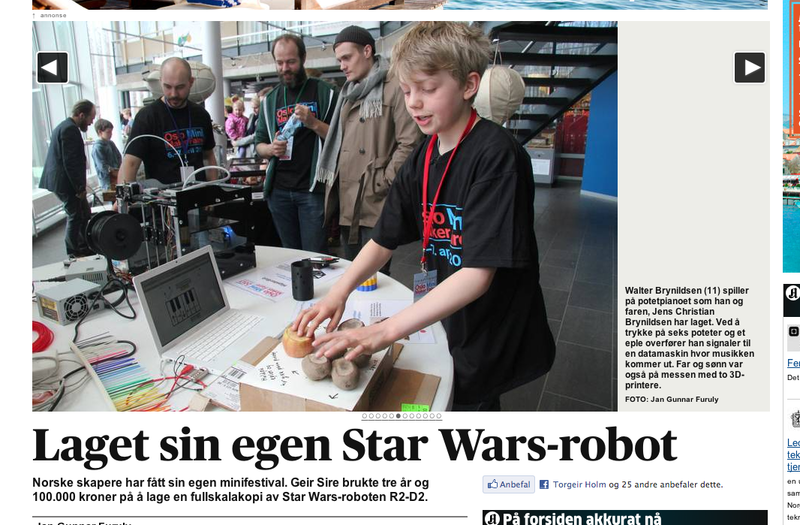 Since Walter was the youngest maker at the event, the national broadcaster NRK even made a small program about him! You can see his 15 minutes of fame here. I kept my distance as they were filming so I didn't disturb. The end result was superb and I was really impressed with him. Proud dad! There was some serious action as well when Walters Printerbot Jr died at the event. We got great help from the people from Sonen, but the main Printrboard was just dead. We later got a new one from Printrbot HQ, so now the printer is printing happily again. We had a blast at the event and Jon and Roger did a great job organising it all. The smoke-ring-cannon was fantastic, it was great fun to meet both other makers and all the visitors. I think my favorite was finally seeing the Pancakebot in real life. I'm really looking forward to next years event and am already pondering what to show then. 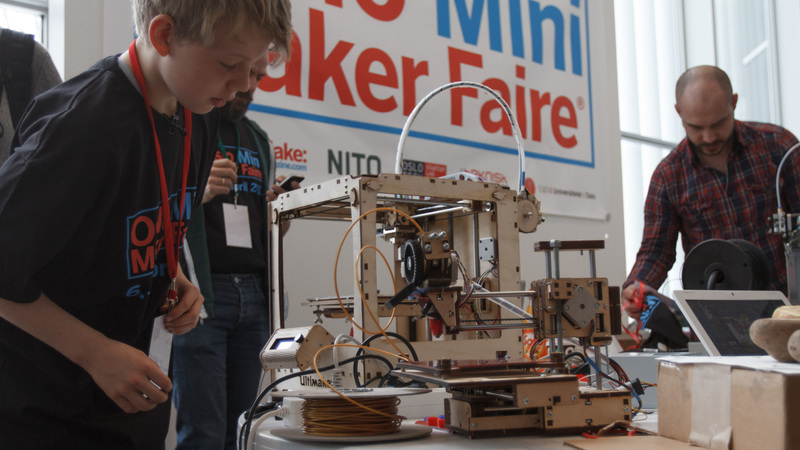 The family is also staying on the "maker track" - our autumn holidays will go to Maker Faire Rome! 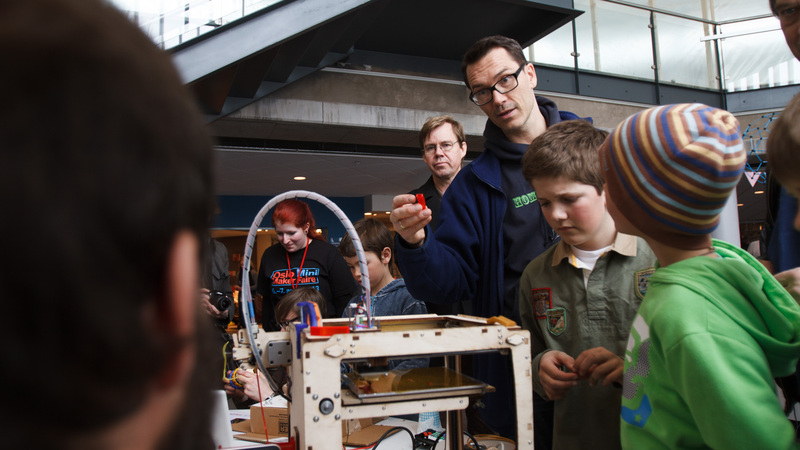 Walter inspecting a print while Elias Bakken is showing off his Hipsterbot in the back. Walter gave interviews to both Aftenposten and TV2 at the event. Here he's showing off the potato-piano he set up with a MakeyMakey. 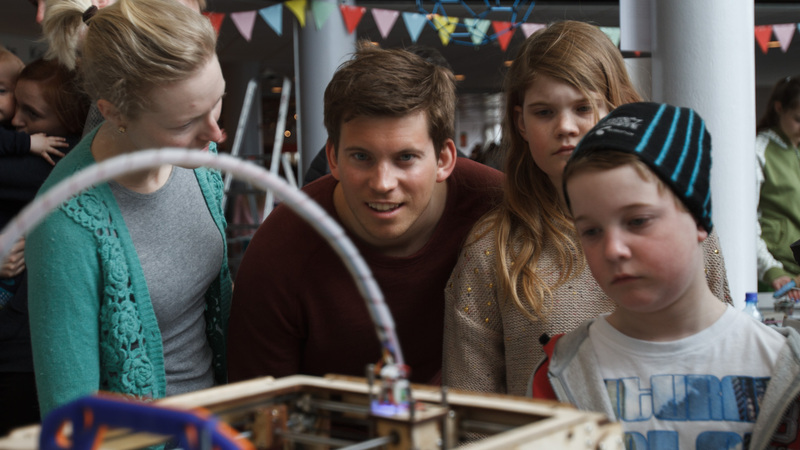 During the event, I also learned of two more Ultimakers in Oslo, so now I know there is 6 of them. 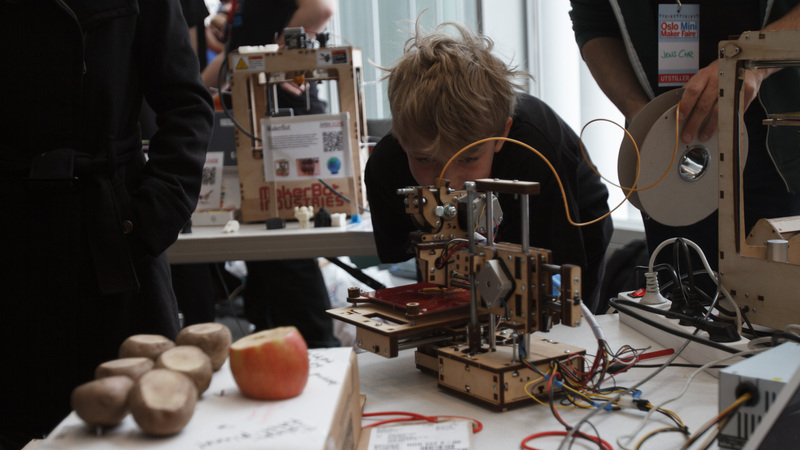 I'm also quite sure that many more were inspired to get a 3D printer! 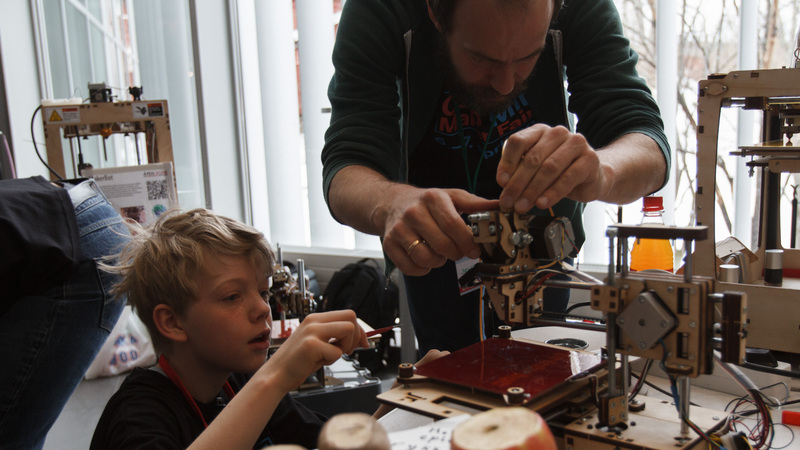 The images above are cc-nc-nd and are from the official Flickr page of Oslo Maker Faire. Go check out all the other great images they posted from the event! Hope to see you there next year?